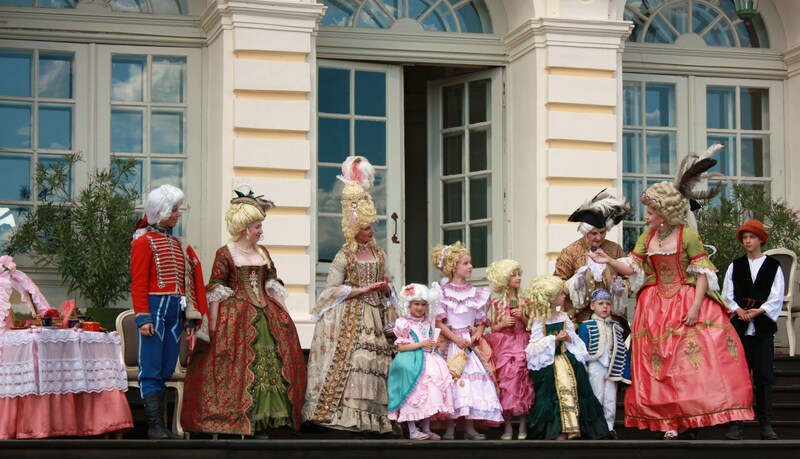 In 2007 we had our first experience in performing on stage – participating at Garden party organized by Rundale Palace. 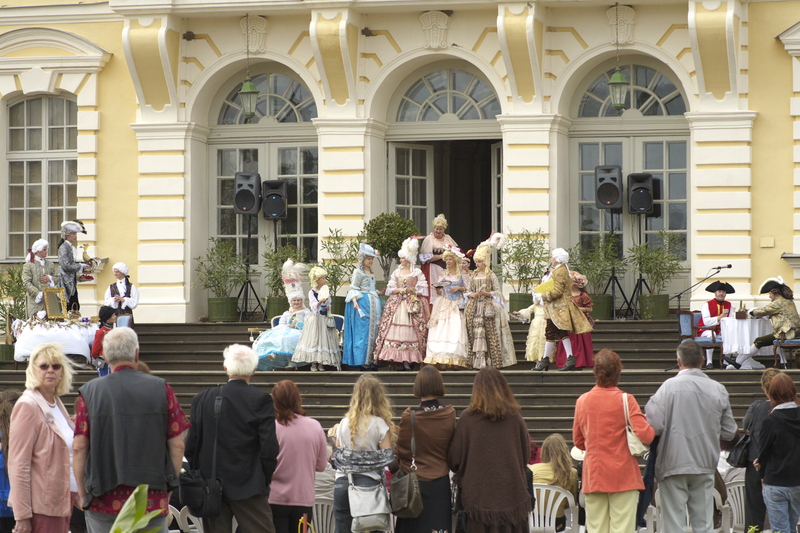 During the party on the stage of the “Green Theatre” our team was performing “Scenes of the Boudoir”. 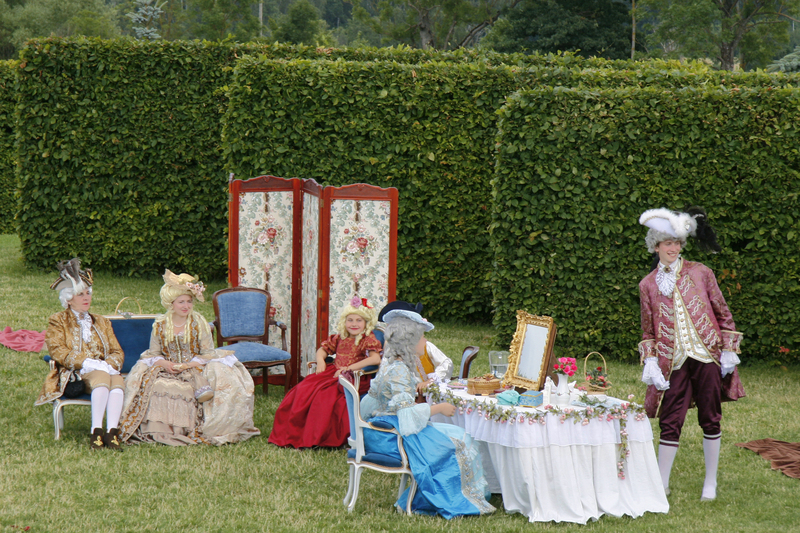 The next year (2008) we had more courage to take part in the program of Garden Festival in Rundale Palace. Therefore a group of enthusiasts came together to perform a beautiful surprise for visitors of the Festival. On the improvised stage an illustration of “One Day in Lady’s Boudoir“ was given. In 2010 our team took part in the contest of projects of Netherlands fund “KNHM”. Within the frame of project “Community with Spirit 2010” our team received financial support and presented a play with 16 participants.The theme of the play was ” Secrets of Duchess’ Boudoir.